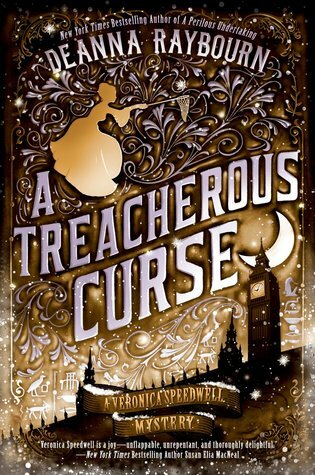 Veronica Speedwell is back! So is Stoker! This is one of those books I've been anxiously waiting to read. Book 3 in the Veronica Speedwell series, though you don't really need to read the others first I highly recommend it. 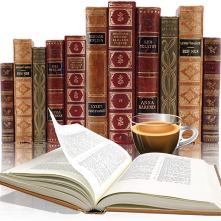 Not only for some of the background but just because they are great books. Veronica is a woman ahead of her time, she is not just spunky but fiercely independent, confident, rather stubborn and intelligent. She sometimes speaks her thoughts aloud regardless of the consequences and once she sets her mind to a task good luck getting her to abandon it. She is a perfect match for Stoker, watching these two interact is quite entertaining. With A Treacherous Curse it's Stoker's past that is forced out in the open when a former best friend disappears. With a cursed Egyptian dig as the backdrop the author presented a unique mystery that had many layers. I will admit that while I found the mystery intriguing it was getting to really know Stoker better that I found most interesting. That being said between the missing artifacts, missing friend and strange sightings Deanna Raybourn has once again written an engaging story complete with its usual twists and turns and an ending that I wasn't really able to figure out myself. Definitely one of my favorite series and one I highly recommend. Thanks to the publisher (Berkley) for an ARC (via Netgalley) in exchange for an honest review.